Takeda T, Yamamoto H, Kanzaki H, et al. Yes1 signaling mediates the resistance to Trastuzumab/Lapatinib in breast cancer. PLoS One. 2017 Feb 3;12(2):e0171356. doi: 10.1371/journal.pone.0171356. Sato H, Shien K, Tomida S, et al. Targeting the miR-200c/LIN28B axis in acquired EGFR-TKI resistance non-small cell lung cancer cells harboring EMT features. Sci Rep. 2017 Jan 13;7:40847. doi: 10.1038/srep40847. Suzawa K, Shien K, Peng H, et al. Distant Bystander Effect of REIC/DKK3 Gene Therapy Through Immune System Stimulation in Thoracic Malignancies. Anticancer Res. 2017 Jan;37(1):301-307. Ohtsuka T, Sakaguchi M, Yamamoto H, et al. Interaction of cytokeratin 19 head domain and HER2 in the cytoplasm leads to activation of HER2-Erk pathway. Sci Rep. 2016 Dec 23;6:39557. doi: 10.1038/srep39557. Torigoe H, Toyooka S, Yamamoto H, et al. Usefulness of Thoracoscopic Debridement for Chronic Empyema after an Extrapleural Pneumonectomy. Acta Med Okayama. 2016 Dec;70(6):507-510. Shien K, Toyooka S. Role of surgery in N2 NSCLC: pros. Jpn J Clin Oncol. 2016 Dec;46(12):1168-1173. 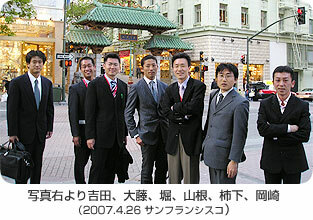 Watanabe M, Yamamoto H, Eikawa S, et al. Study about the Efficacy of Metformin to Immune Function in Cancer Patients. Acta Med Okayama. 2016 Aug;70(4):327-30. Soh J, Okumura N, Nakata M, et al. 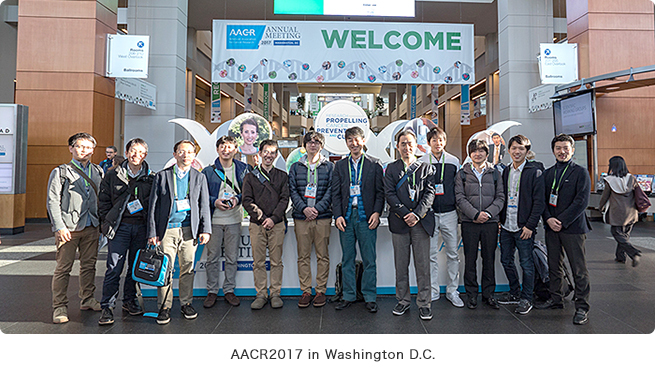 Randomized feasibility study of S-1 for adjuvant chemotherapy in completely resected Stage IA non-small-cell lung cancer: results of the Setouchi Lung Cancer Group Study 0701. Jpn J Clin Oncol. 2016 Aug;46(8):741-7. doi: 10.1093/jjco/hyw062. Maki Y, Nishimura Y, Toyooka S, et al. The proliferative effects of asbestos-exposed peripheral blood mononuclear cells on mesothelial cells. Oncol Lett. 2016 May;11(5):3308-3316. Shimoda A, Soh J, Ashiba T, et al. [Cross-sectoral Approach of a Perioperative Management Center for General Thoracic Surgery]. Kyobu Geka. 2016 Jan;69(1):20-4. Japanese. Torigoe H, Toyooka S, Katsui K, et al. Induction S-1+Concurrent Radiotherapy Followed by Surgical Resection of Locally Advanced Non-small-cell Lung Cancer in an Elderly Patient. Acta Med Okayama. 2016;70(1):63-5. Furukawa M, Toyooka S, Ichimura K, et al. Genetic alterations in lung adenocarcinoma with a micropapillary component. Mol Clin Oncol. 2016 Feb;4(2):195-200. Suzawa K, Yamamoto H, Murakami T, et al. Establishment and molecular characterization of cell lines from Japanese patients with malignant pleural mesothelioma. Oncol Lett. 2016 Jan;11(1):705-712. Suzawa K, Toyooka S, Sakaguchi M, et al. Antitumor effect of afatinib, as a human epidermal growth factor receptor 2-targeted therapy, in lung cancers harboring HER2 oncogene alterations. Cancer Sci. 2016 Jan;107(1):45-52. doi: 10.1111/cas.12845. Yamamoto H, Toyooka S, Maki Y, et al. [SIGNIFICANCE OF NONCODING RNA IN SURGERY: NONCODING RNA IN LUNG CANCER]. Nihon Geka Gakkai Zasshi. 2015 Nov;116(6):374-7. Japanese. Furukawa M, Toyooka S, Hayashi T, et al. DNA copy number gains in malignant pleural mesothelioma. Oncol Lett. 2015 Nov;10(5):3274-3278. Soh J, Toyooka S, Matsuo K, et al. Ethnicity affects EGFR and KRAS gene alterations of lung adenocarcinoma. Oncol Lett. 2015 Sep;10(3):1775-1782. Watanabe M, Yamamoto H, Hashida S, et al. Primary pulmonary melanoma: a report of two cases. World J Surg Oncol. 2015 Sep 17;13:274. doi: 10.1186/s12957-015-0695-2. Hashida S, Yamamoto H, Shien K, et al. Acquisition of cancer stem cell-like properties in non-small cell lung cancer with acquired resistance to afatinib. Cancer Sci. 2015 Oct;106(10):1377-84. doi: 10.1111/cas.12749. Shien K, Toyooka S, Soh J, et al. Lower lobe origin is a poor prognostic factor in locally advanced non-small-cell lung cancer patients treated with induction chemoradiotherapy. Mol Clin Oncol. 2015 May;3(3):706-712. Otani H, Yamamoto H, Takaoka M, et al. TAE226, a Bis-Anilino Pyrimidine Compound, Inhibits the EGFR-Mutant Kinase Including T790M Mutant to Show Anti-Tumor Effect on EGFR-Mutant Non-Small Cell Lung Cancer Cells. PLoS One. 2015 Jun 19;10(6):e0129838. doi: 10.1371/journal.pone.0129838. Shien K, Toyooka S, Soh J, et al. Clinicopathological characteristics and lymph node metastasis pathway of non-small-cell lung cancer located in the left lingular division. Interact Cardiovasc Thorac Surg. 2015 Jun;20(6):791-6. doi: 10.1093/icvts/ivv062. Hashida S, Yamamoto H, Shien K, et al. Hsp90 inhibitor NVP-AUY922 enhances the radiation sensitivity of lung cancer cell lines with acquired resistance to EGFR-tyrosine kinase inhibitors. Oncol Rep. 2015 Mar;33(3):1499-504. doi: 10.3892/or.2015.3735. Toyooka S, Soh J, Yamamoto H, et al. Extended sleeve lobectomy after induction chemoradiotherapy for non-small cell lung cancer. Surg Today. 2015 Sep;45(9):1121-6. doi: 10.1007/s00595-014-1025-y. Shien K, Yamamoto H, Soh J, et al. Drug resistance to EGFR tyrosine kinase inhibitors for non-small cell lung cancer. Acta Med Okayama. 2014;68(4):191-200. Review. Hashida S, Soh J, Toyooka S, et al. Presence of the minor EGFR T790M mutation is associated with drug-sensitive EGFR mutations in lung adenocarcinoma patients. Oncol Rep. 2014 Jul;32(1):145-52. doi: 10.3892/or.2014.3197. Suzawa K, Yamamoto H, Ichimura K, et al. Asymptomatic but functional paraganglioma of the posterior mediastinum. Ann Thorac Surg. 2014 Mar;97(3):1077-80. doi: 10.1016/j.athoracsur.2013.06.100. Ueno T, Toyooka S, Fukazawa T, et al. Preclinical evaluation of microRNA-34b/c delivery for malignant pleural mesothelioma. Acta Med Okayama. 2014;68(1):23-6. Shien K, Tanaka N, Watanabe M, et al. Anti-cancer effects of REIC/Dkk-3-encoding adenoviral vector for the treatment of non-small cell lung cancer. PLoS One. 2014 Feb 3;9(2):e87900. doi: 10.1371/journal.pone.0087900. Yamamoto H, Higasa K, Sakaguchi M, et al. Novel germline mutation in the transmembrane domain of HER2 in familial lung adenocarcinomas. J Natl Cancer Inst. 2014 Jan;106(1):djt338. doi: 10.1093/jnci/djt338. 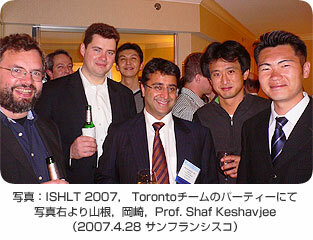 Konishi Y, Yamamoto H, Hiraki T, et al. Massive subcutaneous and mediastinal emphysema with little pneumothorax treated by surgery after pulmonary radiofrequency ablation. Cardiovasc Intervent Radiol. 2014 Apr;37(2):548-51. doi: 10.1007/s00270-013-0753-5. No abstract available. Yamamoto H, Soh J, Ichimura K, et al. Adult mesenchymal hamartoma of the chest wall: report of a case. Ann Thorac Cardiovasc Surg. 2014;20 Suppl:663-5. doi: 10.5761/atcs.cr.13-00225.